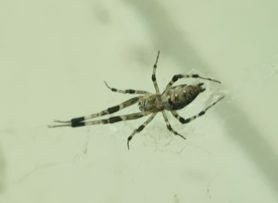 There’s a bunch in my shed.. more of a grey and black color . Hi, I don’t know it offhand. 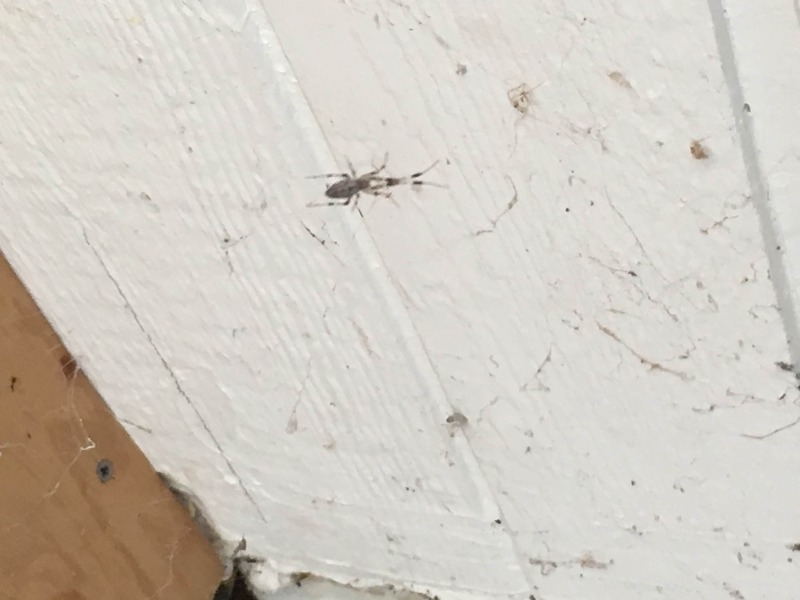 Google Lens identified it as an Asian tiger mosquito. 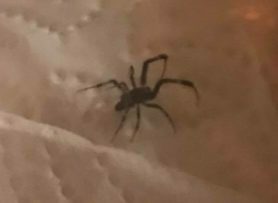 🙁 It has a 2 part body like a spider, not a 3 part insect body. The web looks erratic, but not a tangleweb. 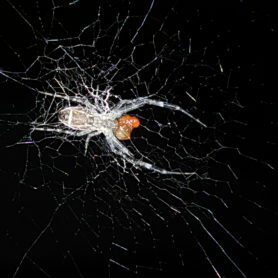 Please post more photos of the spiders with the webs and anything that looks like an egg sack. It isn’t possible to add pics to this existing post or more than one per future post. If you label each we can sort it out. They look like they’re eaten a lot of insects for you. 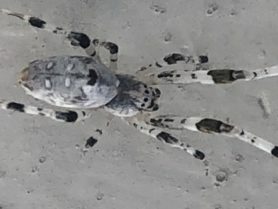 Hi, this looks like a Cribellate Orb-weaver, Zosis geniculata.